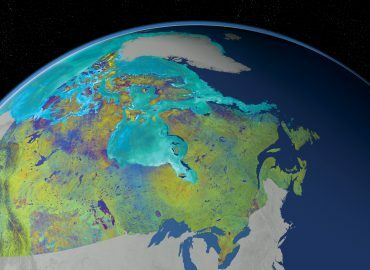 Given the vast size of Canada, it makes perfect sense that we would look to Space and Space Operations in order to find solutions to the fundamental challenges posed by our geography. While our engagement in Space usually highlights Canadian contributions to NASA and the International Space Program, there is another side to our effort dedicated to the expansion of positive control over our territory, in particular, the High North and the Arctic. Join us in November for an evening with Brigadier-General Kevin Whale, RCAF, the Director General Space of the Canadian Armed Forces, for a closer look at the present and future focus of Canada’s Space-oriented approach to key questions related to our sovereignty and security, as well as the challenges of communications and navigation in our increasingly accessible North. How will our capacity in Space provide opportunity for Canadians with direct connection to and interests in our polar regions, while enforcing our territorial and maritime sovereignty? True North indeed! Reward yourself with this rare opportunity to learn more about Canada’s strategic posture in Space. And bring a friend – new Foundation Members are most welcome.